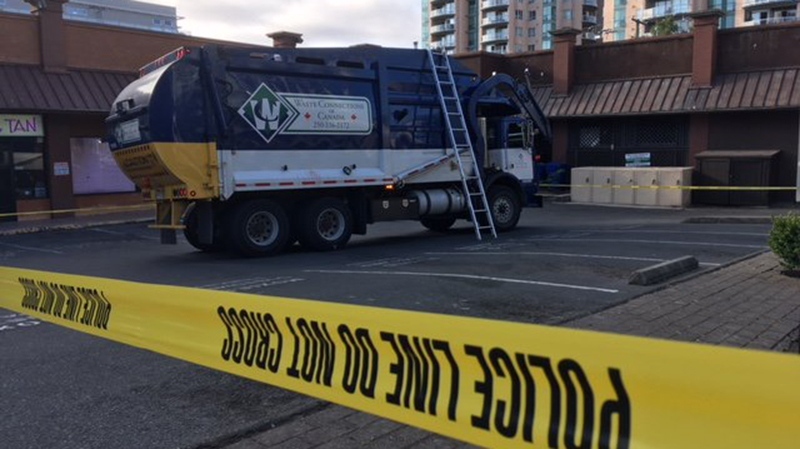 A man was killed when the dumpster he was in was emptied into a garbage truck's waste crusher in Victoria Wednesday morning. Police say they were called to the 1300-block of Vancouver Street, near Johnson Street, just after 6 a.m.
Officers arrived to find a man suffering life-threatening injuries and remained with him until firefighters and paramedics arrived. The man was rushed to hospital but succumbed to his injuries, according to police. It's unclear whether the man was looking through the dumpster or sleeping in it at the time. Police say initial investigation indicates that he was in the box area of the truck when he was injured. Witness Al Riopel was there when fire officials arrived and tried to recover the man from the truck. "Eventually the fire department got a ladder in there, removed the body," said Riopel. "They tried to resuscitate him on top of the truck, brought him down the side of the truck, tried some more and then just put him in an ambulance." The distraught driver of the garbage truck first knew something was wrong when he heard a strange sound after activating the truck's compactor, police say. "Heard something that was concerning, heard something from the back, stopped, took a look and called for help right away," said Victoria police spokesman Bowen Osoko. Another bystander jumped in to help, comforting the man in his final moments. Jonathan Paul Legacy was too shaken up to go on camera Wednesday, but shared details on Facebook of what he described as the most horrific thing he's ever seen. "This morning I had to stay and talk with a man until he passed away," he wrote. 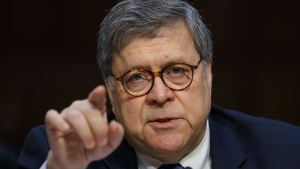 "I tried so hard. I had to stand there and watch the life drain from his eyes…it's burned into my brain and I can't shake the sight." It's believed the man was in a garbage bin that was picked up before being driven a block-and-a-half away and ultimately crushed. The man has not been publicly identified, but witnesses said they recognized him as a homeless man from the area. Advocates say while the facts of the tragedy are still emerging, it underscores the importance of securing housing for people who are homeless. "What a horrific way to die for someone who's probably just looking for shelter for the night," said Grant McKenzie, spokesman for Our Place Society. The City of Victoria says there are no bylaws requiring business to lock up their dumpsters. WorkSafe BC says even if the driver didn't check the bin, there is no requirement for drivers to do so. The truck's driver wasn't injured but is being offered support in the wake of the horrific incident. 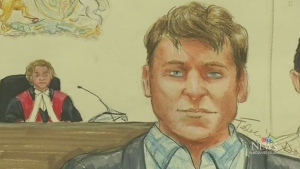 The BC Coroner's Service is working with Victoria police to investigate the incident. Police say the incident does not appear to be a criminal matter.